This is one of my favorite books in the series! 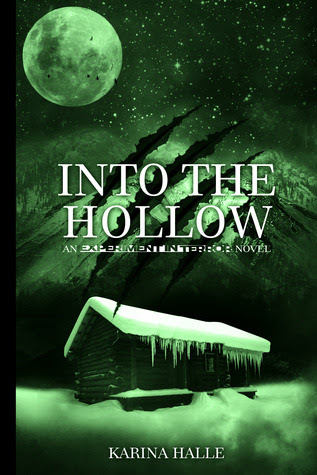 Into the Hollow brings Perry and Dex back together, working on a new episode for their Internet show, and into the frigid, unforgiving wilderness of the Canadian Rockies. Staying in a secluded cabin, Perry and Dex must confront the lies that derailed their previous working relationship, and explore their growing feelings for one another. But can Perry learn to trust Dex? After what they went through, and what they are about to go through, it is imperative. Chasing the urban legend of big foot, Perry and Dex set out to find the infamous creature that has reportedly been seen in the area they are about to explore. But the myths of big foot aren’t exactly true; at least not as we’ve heard them! I loved this book! The setting was ideal for the story, as was the addition of the townspeople and those assisting, or rather hindering, Perry and Dex’s investigation. This book was scary, but in an entirely different way! Such a great story, and I’m thrilled with where it’s taking us with Perry and Dex!